← MCFly 045- Do the right thing? No further news from Manchester City Council about how much money it is planning to allocate to climate change in the coming year(s). But at least it’s leading the way in transparency by posting the minutes of the Environmental Strategy Programme Board promptly. Any day now they’ll put the minutes from November 2009 onwards on their website, oh yes. MCFly seems to have missed the press release where Manchester City Council admitted that it didn’t get the half a million quid it wanted from the Department of Energy and Climate Change to create a Low Carbon Community Hub in South Manchester. Is this where we hoped we’d be in November 2009? What. Happened. To. The. Momentum? 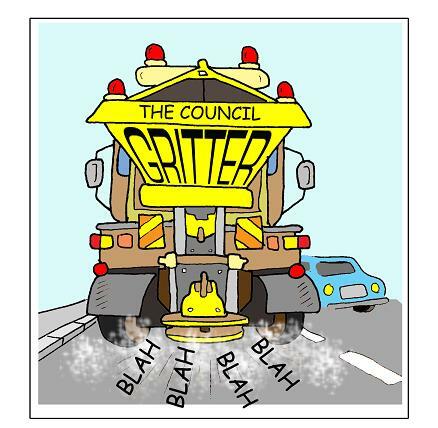 This entry was posted in Call to Action, Manchester City Council. Bookmark the permalink.